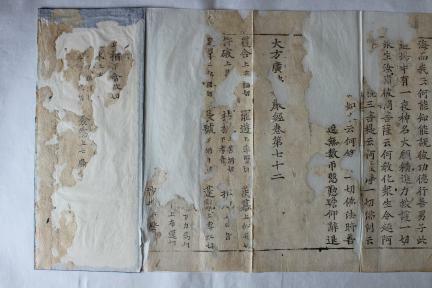 『大方廣佛華嚴經』 주본 권72는 唐의 實叉難陀(652～710)가 新譯한 周本 80華嚴經 가운데 제72권으로 현재 海印寺 寺刊板의 모본으로 추정될 뿐 아니라 高麗大藏經을 간행할 때에 底本으로 사용되었던 壽昌 4(1098)년 板本의 국내 傳來本으로 추정된다. 국내에서 보기 드문 희귀본이며, 佛經과 佛敎學 및 書誌學의 硏究에는 물론 고려시대 목판인쇄문화의 연구에도 크게 활용될 수 있을 귀중한 자료이다. 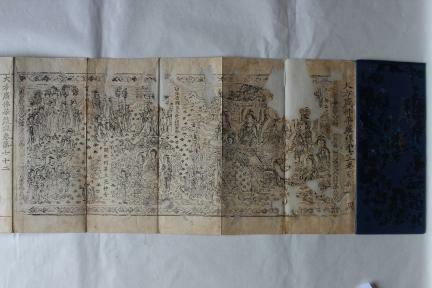 This Avatamsaka Sutra is the seventy-second of the eighty volumes of the Zhou version translated into Chinese by a Tang monk-translator named Shikshananda (652-710) and the Shouchang Edition published in 1098. 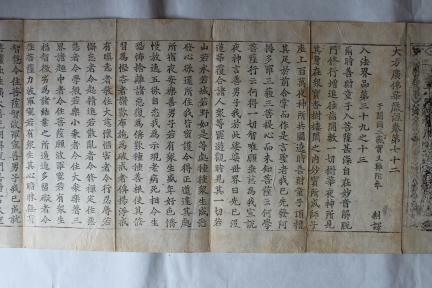 It is conjectured to have been the source text of both the edition published by Haeinsa Temple and the Tripitaka Koreana woodblocks. As one of the rarest sources of the sutra in this edition, the book is widely regarded as an invaluable source material for bibliographical studies of Buddhist scriptures and the development of woodblock printing in Korea.